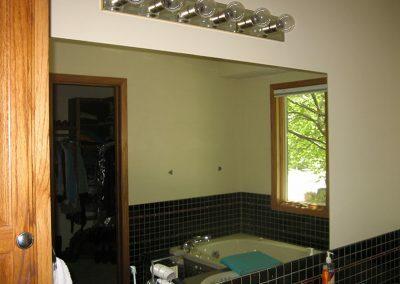 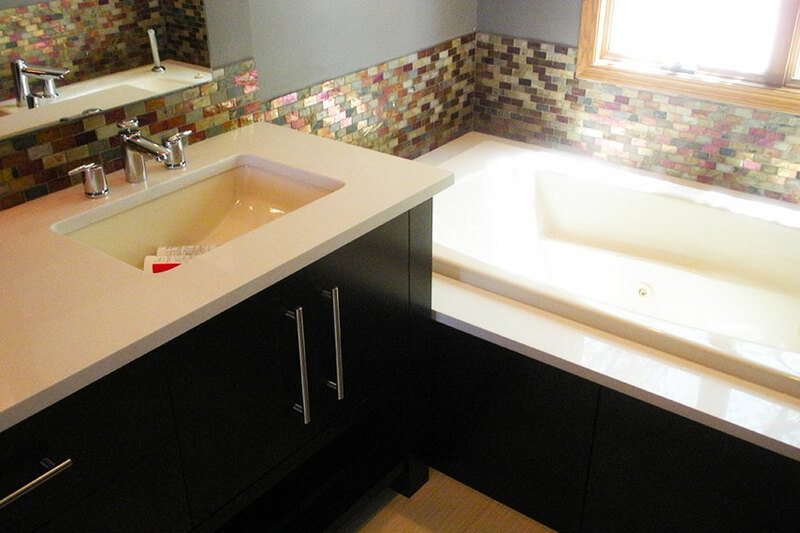 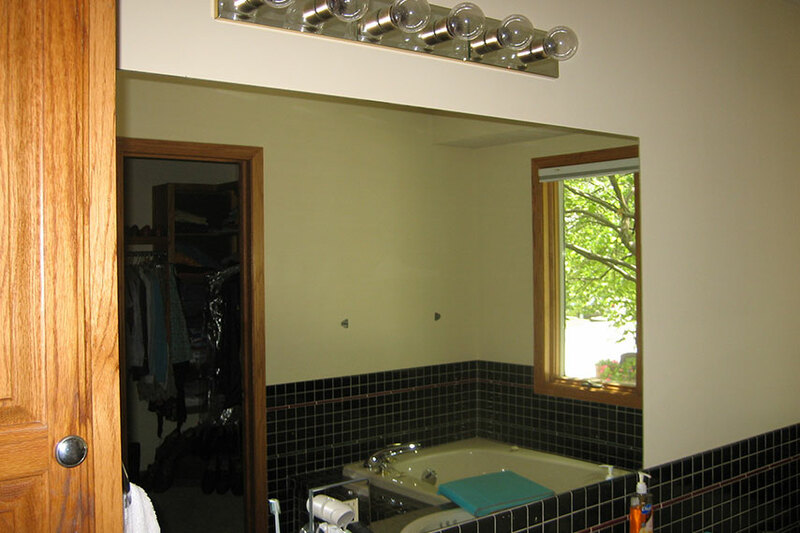 Before – Vanity lighting needs an upgrade. 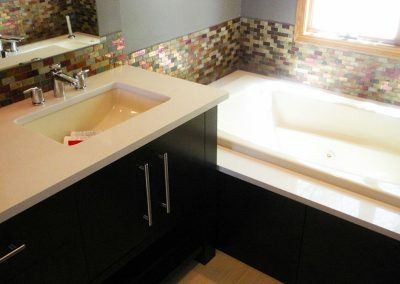 Before – this dated subway tile needs a ticket to ride (out of here!). 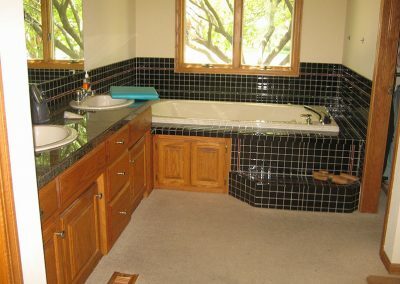 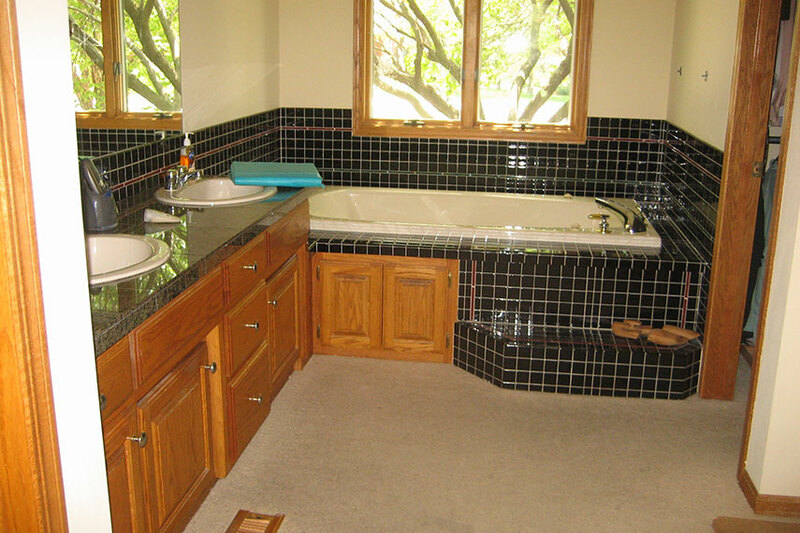 What a difference tile and color make in upgrading a bathroom! 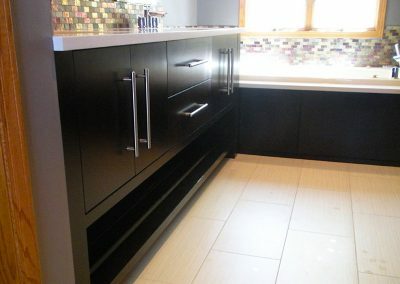 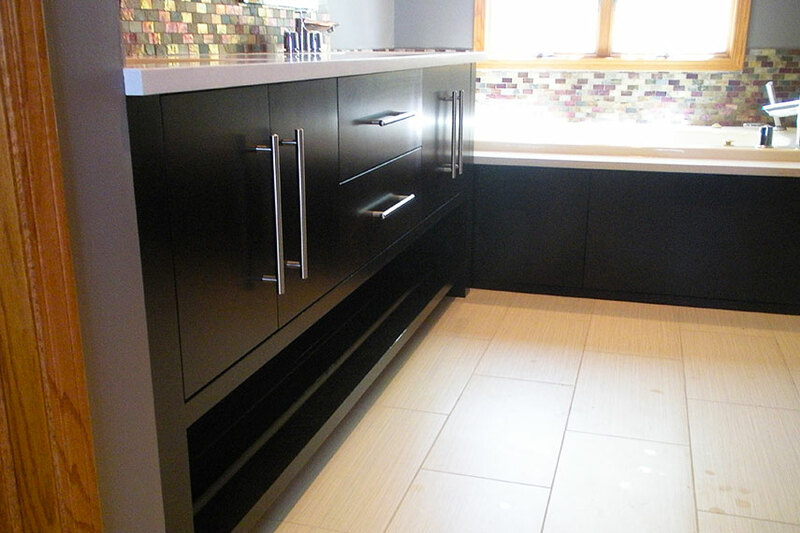 Black, sleek and modern cabinetry are so easy on the eyes. 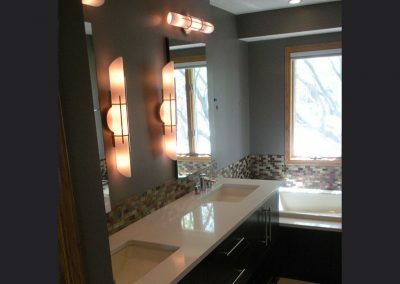 Lighting upgrades make the world a difference to any space – especially a small one. 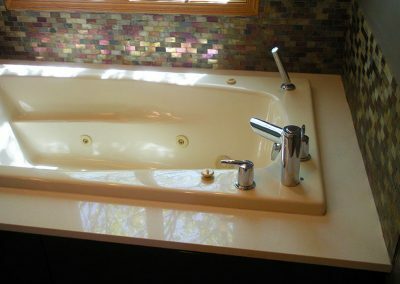 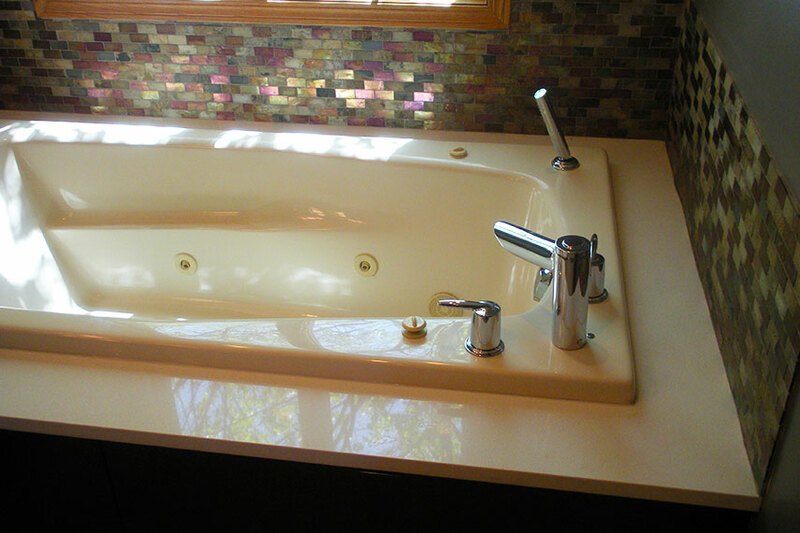 You’ll never want to jet out of this jetted tub. 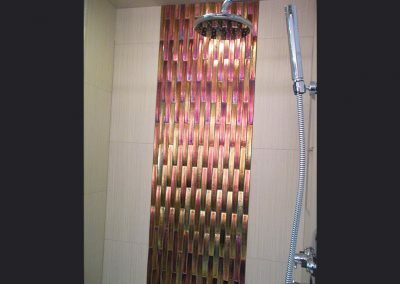 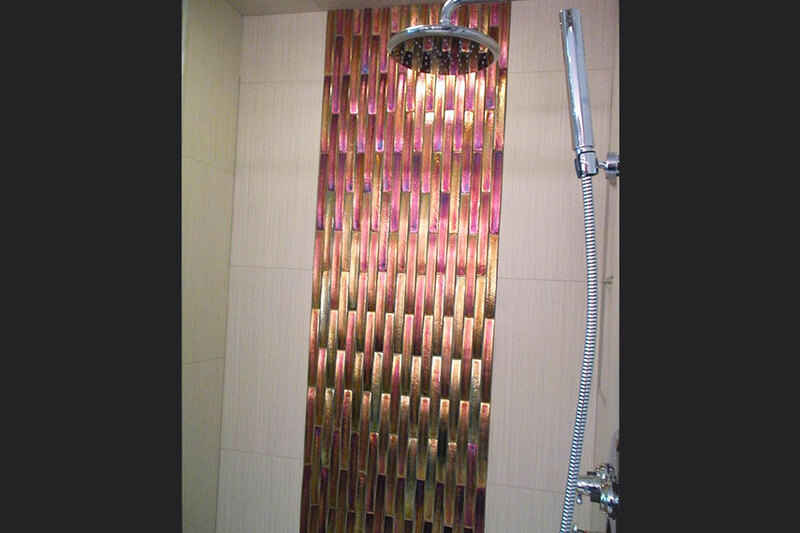 These colored tiles flow with the natural light.